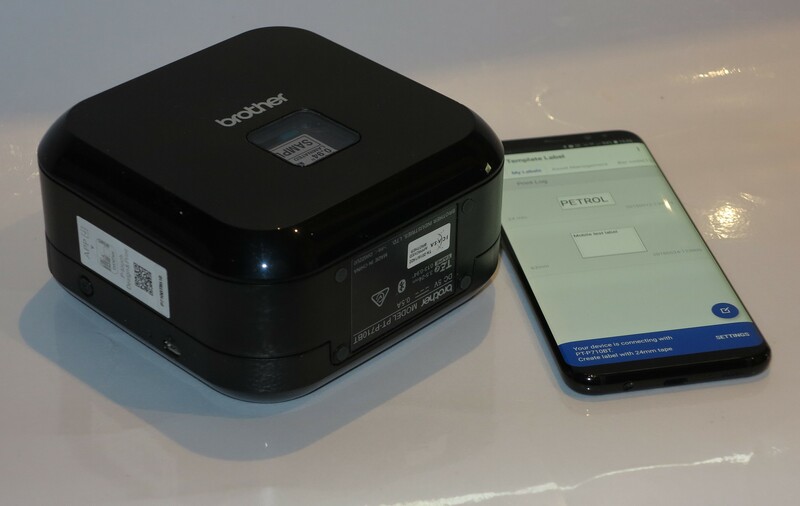 I am reviewing the Brother P-Touch PT-P710BT portable Bluetooth label printer which is designed to work alongside your smartphone or tablet as a label-printing solution. This is simply through the device talking with your smartphone or tablet via a Bluetooth link. It can work with your regular computer like a laptop if you are using Brother’s labelling software and a Bluetooth connection, which would really come in handy for those of us who use a laptop computer. 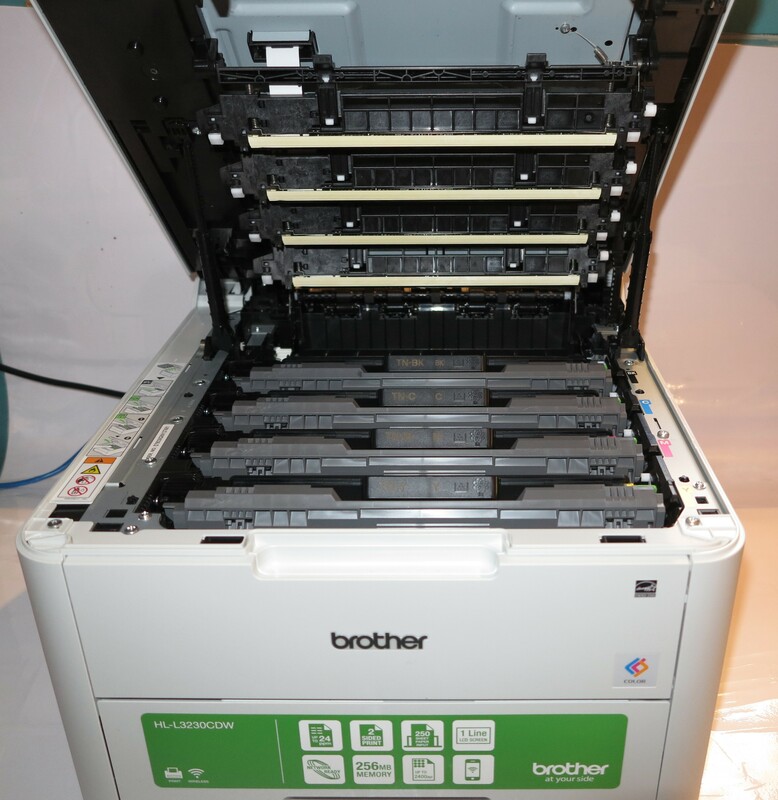 I would describe the Brother PT-P701BT printer’s size as being compact – slightly larger than four cakes of soap stacked face-to-face. Here, it would be something that you could hold in the palm of your hand. 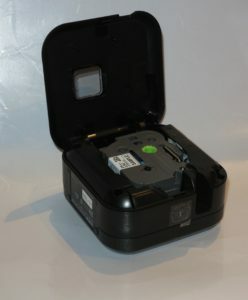 The label printer uses the TZ family of label tapes that are kept in special cassettes. This same family of label tapes is infact used across a large number of their label writers or Wi-Fi label printers in Brother’s stable. 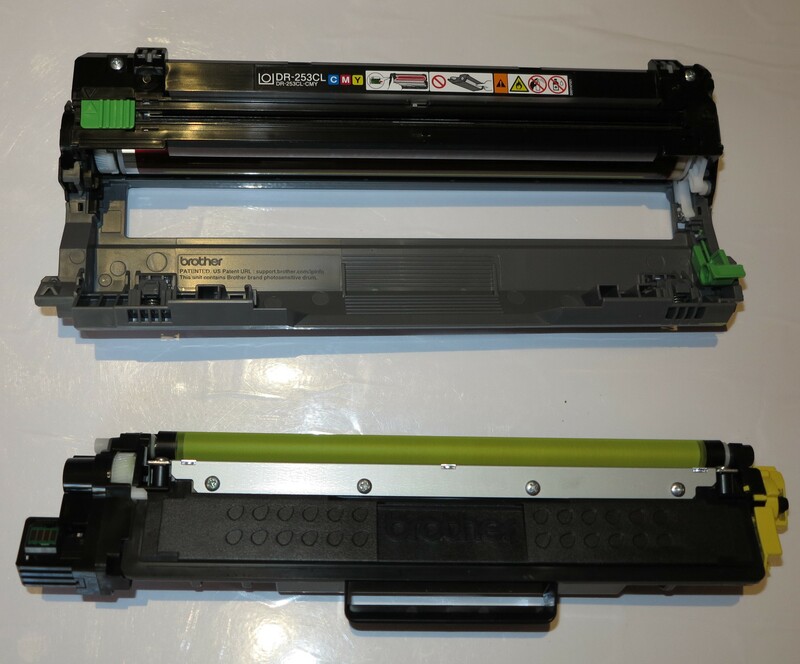 This can be of benefit when it comes to ordering supplies for these machines. It runs on its own replaceable rechargeable battery. 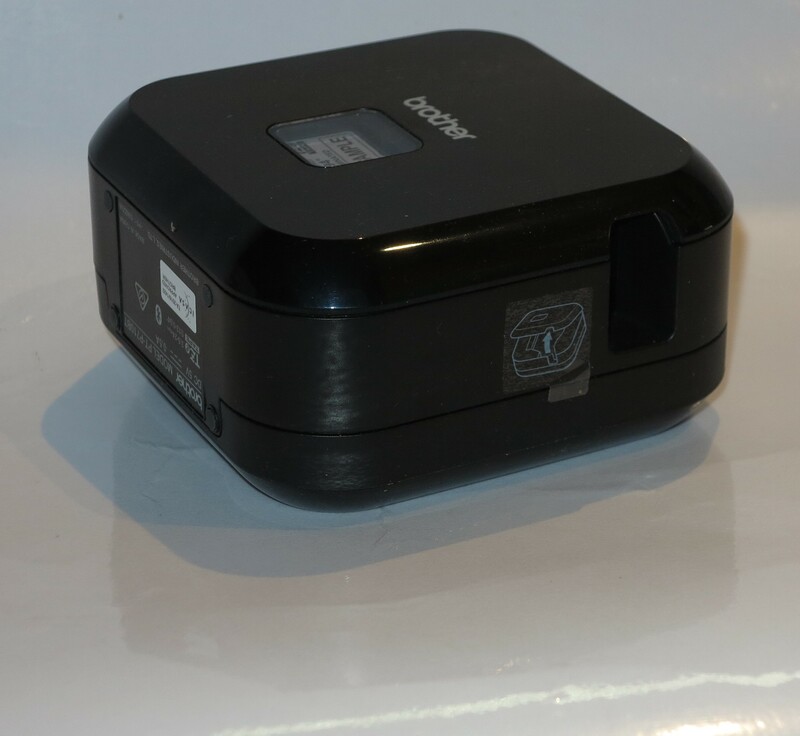 Here, this battery is charged by you connecting this printer to a USB charger using a Micro-USB cable like you would with most open-frame smartphones or Bluetooth accessories. Or you could use this same cable to connect the printer to a Windows or MacOS regular computer so you can use Brother’s P-Touch Editor software to create labels. 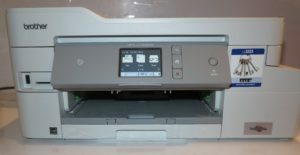 The setup process to make it work with your Bluetooth-equipped computer or mobile device is that you have to hold down the power button to make the printer discoverable. 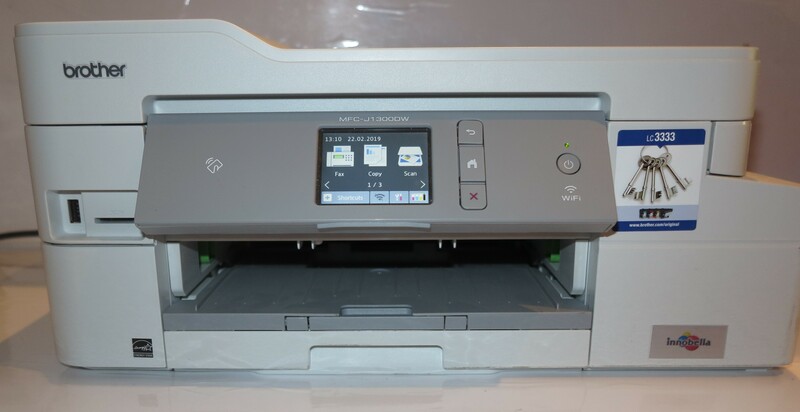 Then you use the host device’s operating system to find the printer as a new Bluetooth device, similar to what you would do with a Bluetooth headset. It didn’t take long for me to pair this device up with my Android smartphone. 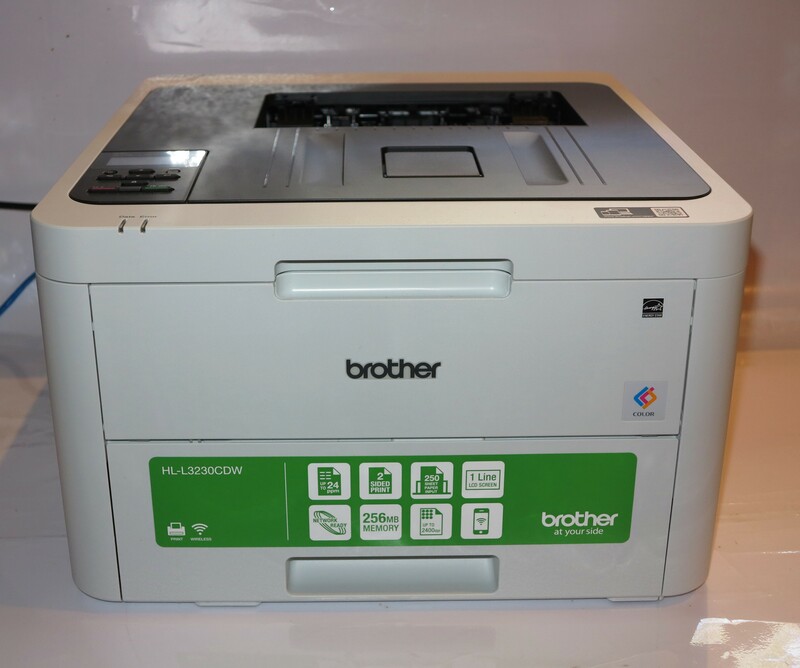 When I use this printer with my Windows 10 computer, I found it easier to set the Brother PT-P710BT printer to work as a USB label printer rather than with Bluetooth. 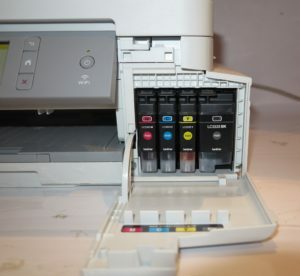 It would be achieved by connecting the printer to the host computer using a USB Type-A to USB Type-microB cable or USB Type-C to USB Type-microB cable depending on the connection the host computer has. 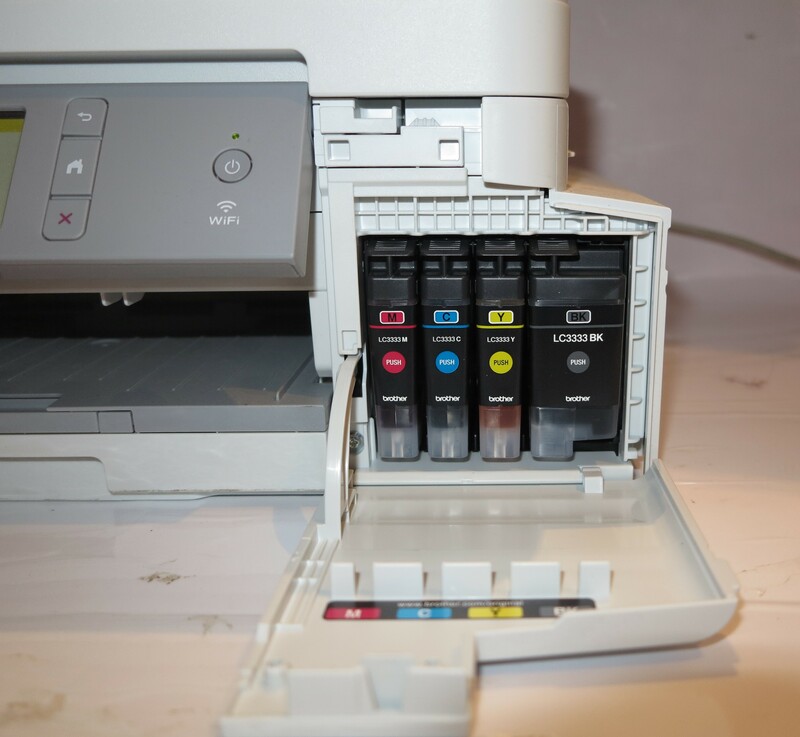 This is because there wasn’t the software support to allow a proper Bluetooth connection between the host computer and the printer. I used this label printer to label the fuel tank of a small engine to remind its user of whether to use petrol or 2-stroke mix with this engine. Here, I used the iPrint&Label app on my Samsung Android smartphone and it didn’t take long to turn out that label although I would like to see that app have a quick opportunity to “clear the canvas” on any new setup. The resulting label then came out sharp and clear. 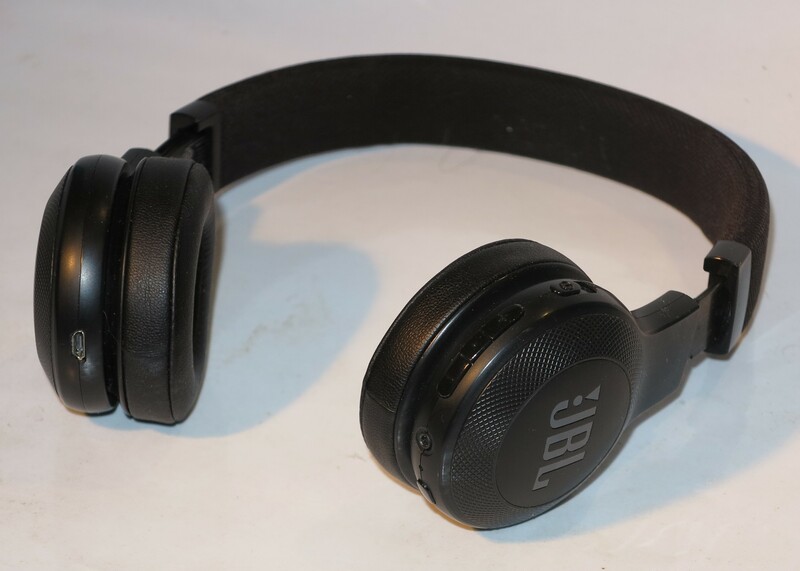 Brother could take advantage of various enhanced Bluetooth-peripheral setup experiences such as NFC-based “tap-and-go” pairing for Android phones for Bluetooth label printers and similar peripherals. They could also support the Bluetooth “fast pairing” setup experience being put forward by Apple, Google and Microsoft including, where applicable, the ability to lead users to install the extra software needed to get the most out of the device. 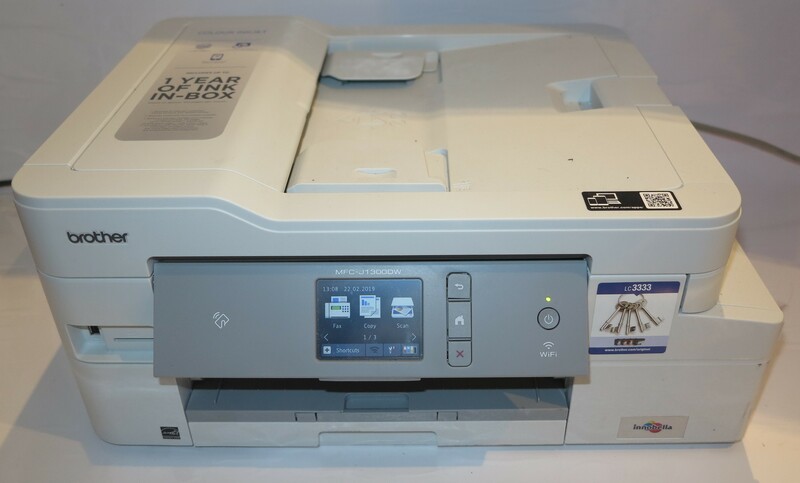 This would also include the ability for this printer to work properly with a MacOS or Windows regular computer that is connected to it by Bluetooth, something that would be valued by those of us who use highly-portable computers like laptops. 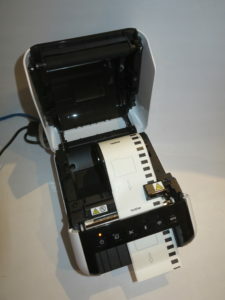 As well, I would like to have the ability for the Brother P-Touch PT-P710BT label printer be able to operate while connected to the USB power source rather than use that source just for battery charging even if the battery is being charged or at full capacity. This could allow for battery energy conservation while you are at home or in a vehicle, or cater towards using a USB power bank with more battery capacity for longer field projects. Such a state could be indicated with the battery charging LED glowing green while the unit is switched on and connected to a USB source to indicate operation from external power and glowing yellow to indicate that the battery is charging. 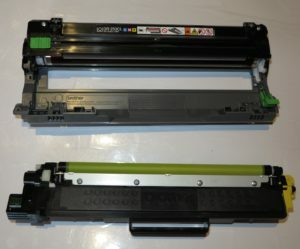 To avoid confusion, I would personally like to see the Power LED glow steady while the printer is on and connected to a host device whether by Bluetooth or USB. Then have it glow yellow to indicate that it is discoverable by a Bluetooth host and flash during the pairing-up phase. Having a light that flashes regularly on a device can be seen to be an indication of a fault or warning condition rather than normal operation. Conclusion – Is it a tool or a toy? 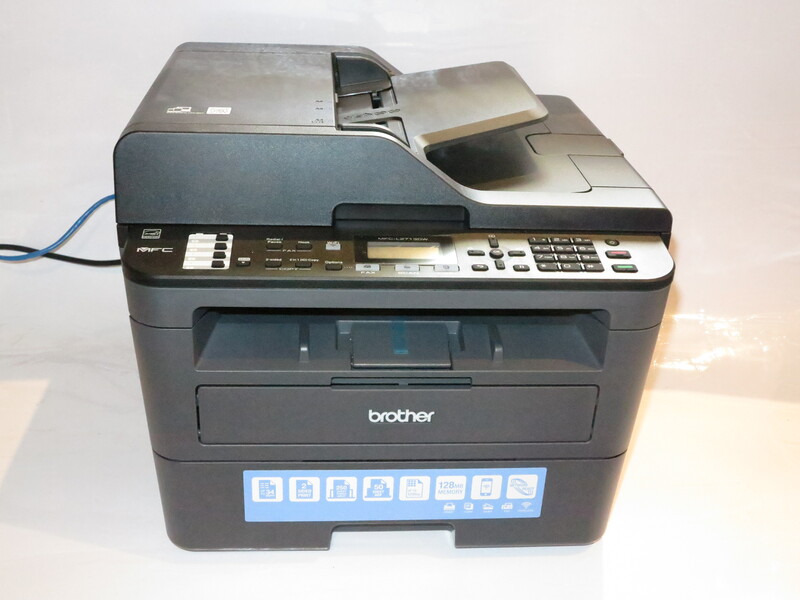 I would position the Brother PT-P710BT Bluetooth label printer as a basic label printer for those of us who use highly-portable computing equipment especially smartphones and always want to use it while “on the go”. Here, I value the ability to provide wireless connectivity without the need to worry about Wi-Fi network issues. It may not work well for team-based work where multiple-host-device connectivity is essential such as for work teams. It is easy to see this labeller as a toy but for most of us who want to use our “many-function” smartphones to the hilt, it could be seen as a highly-portable tool. This is more so if we are wanting something that is highly compact and ready to go. I have given a fair bit of space on HomeNetworking01.info to the USB-C host-peripheral connection type since it was launched. It was more to do with a simplified high-throughput high-reliability connection type that will grace our computers, smartphones and similar devices. But just lately I had upgraded to a new Samsung Galaxy S8+ Android smartphone due to my previous smartphone failing. 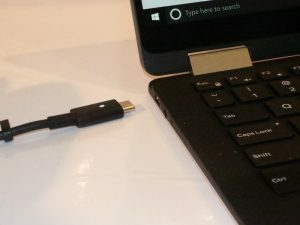 But I had some previous experience with the USB-C connection through my reviewing of the Dell XPS 13 2-in-1 convertible Ultrabook, which was powered using USB-C as its primary connection type. The previous Android smartphones that I had before implemented a USB microAB connection for their power and data-transfer needs and recent iterations of Android which I experienced on the Galaxy Note series of phones supported USB OTG host-operation modes. The main feature that I liked was the simple approach to connecting devices to my phone. Here, I didn’t have to worry about which way the cable plugged in to my phone, something that was important when it came to connecting it to a charger or power pack. A situation I was previously encountering with the USB micro-B connector on the previous phones was the need to replace USB cables due to the USB micro-B plug wearing out in the USB micro-AB socket in these phones due to frequent connection and disconnection. This would be typical in relationship to connecting a phone up to a charger for charging then subsequently disconnecting it from the charger for regular use. Then I ended up buying replacement USB A to USB micro-B cables to remedy this problem. 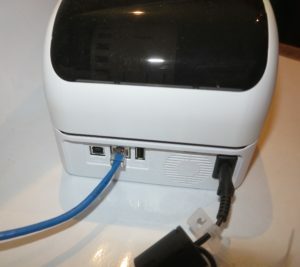 Now I am ending up with a sure-fire connection experience for USB devices similar to using the regular USB connections commonly fitted to regular computers or peripherals. That situation was often brought on through the use of leaf-spring-type lugs on the USB micro-B connector that were used to make sure the plug fitted properly in the common USB micro-AB socket fitted to smartphones. Here, they can easily wear out and lose their springiness through repeated use. The USB-C connector doesn’t make use of those leaf springs to secure the plug in the socket thanks to it being one plug design for data input and output. 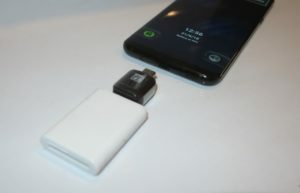 Another benefit that I have experienced is the ability to use the same kind of connector whether the phone is to be a host to a peripheral or to be connected to another computer device. This avoids the need to worry about having to use a USB OTG cable if, for example, I wanted to use a photo from my camera’s SD card to post on Instagram. But I still needed to use a USB-A (female) to USB-C adaptor with the SD card reader but would find this useful if I wanted to use the SD card reader or a USB memory key with any USB-C host device. Again, I wouldn’t need to worry about which way the cable plugged in to a computer or smartphone equipped with this connector. This can come in handy if I was dealing with USB memory keys attached to keyrings or USB peripherals hanging off a USB cable. 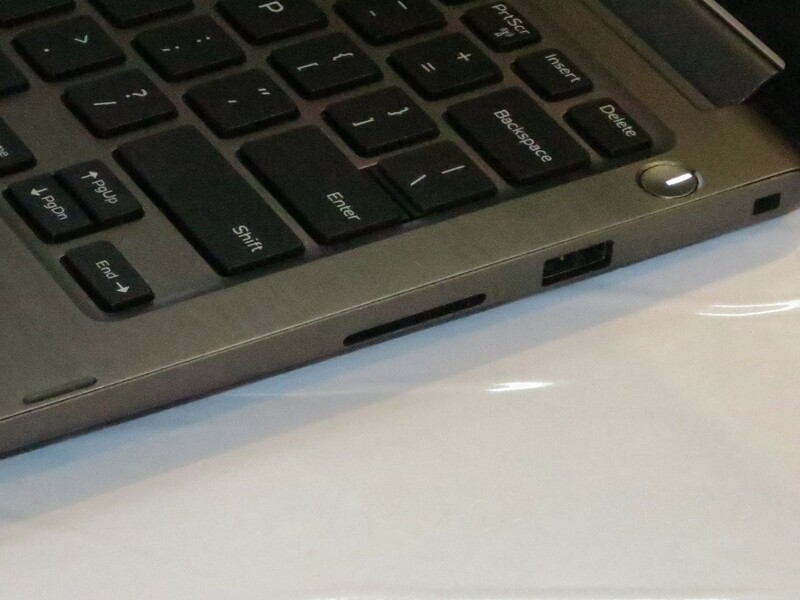 Personally, I see the USB Type-C connection appearing as a viable connection type for laptops, tablets and smartphones especially where these devices are designed to be slim. One way this connection can be exploited further would be for smartphone manufacturers to install two USB Type-C connectors at the bottom of their products. Similarly, a USB battery pack with USB Type-C connectivity could have have three USB-C sockets and have USB hub functionality. This could then allow for multiple devices to be connected to the same host device. This article will be built out further as I deal with more connection setups that are based around the USB Type-C connector. 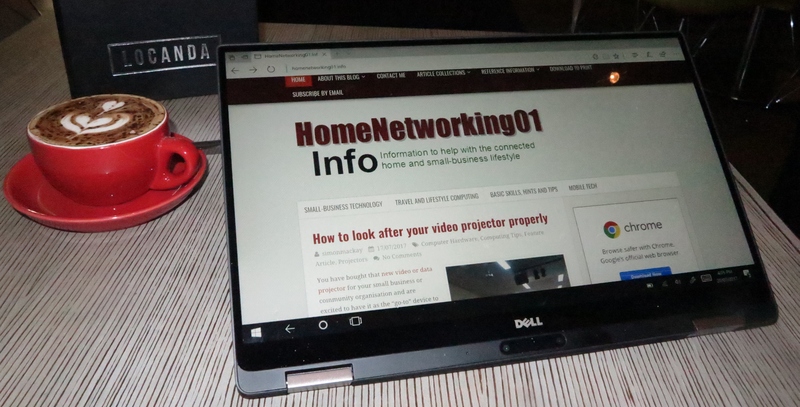 I am reviewing the latest version of the Dell Inspiron 13 7000 8th Generation which replaces the Inspiron 13 7000 7th Generation models that I previously reviewed. Here, this is based around implementing the Intel Kaby Lake Refresh technology which is a step towards making mainstream portable computers capable of doing most computing tasks without being seen as underpowered cousins of desktop computers. 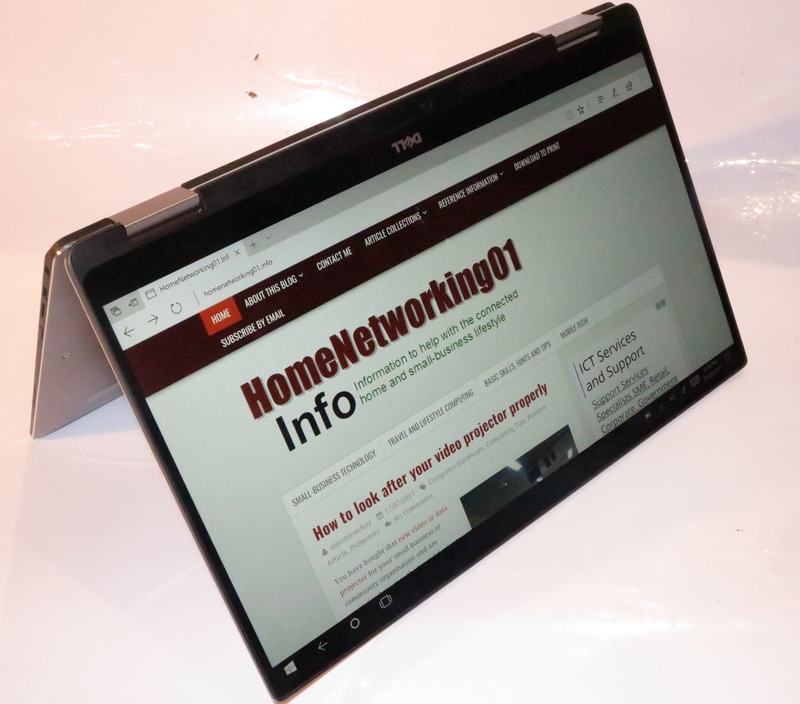 There is also the Dell Inspiron 13 5000 2-in-1 series which omits the USB Type-C connection and the Intel RealSense camera but available at a cheaper price. These are available in three different configurations, one with an Intel Core i5 CPU, 8Gb RAM and 256Gb SSD; a step-up variant with a Core i7 CPU and the top-shelf model with 16Gb RAM and 512Gb SSD storage. 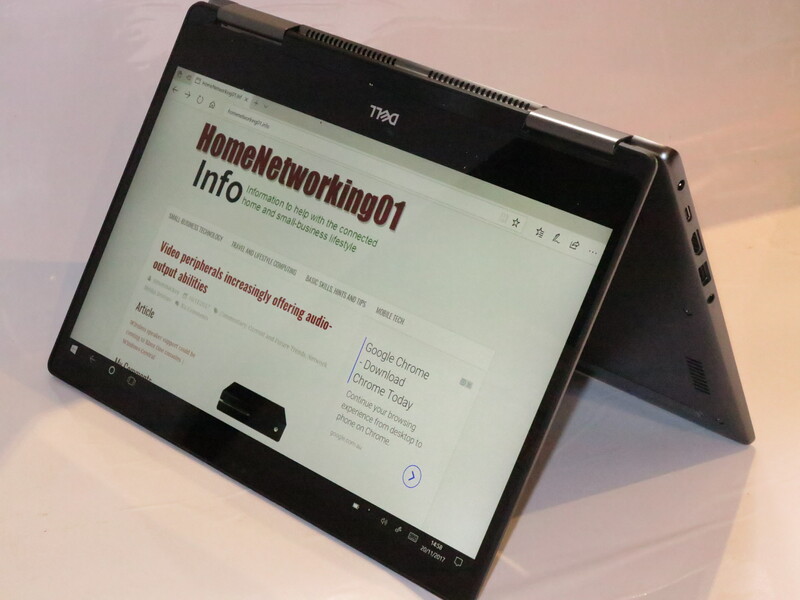 Thee Dell Inspiron 13 7000 8th Generation convertible laptop has the same aesthetics and build quality as the previous two generations. This means that it has the same metal finish and housing but also comes across as being very durable. As well, Dell have embraced the narrow display bezel trend started with the XPS 13 Series and implemented it in to this lineup, making for an effectively larger display space in a relatively compact machine. 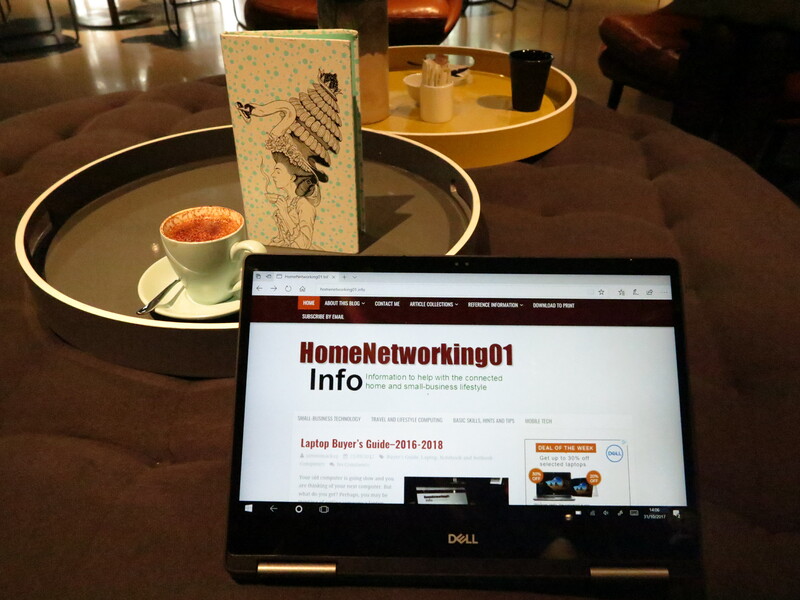 There is still a smooth action involved when converting it between a laptop and tablet mode which makes for something that can be easily used by most people. 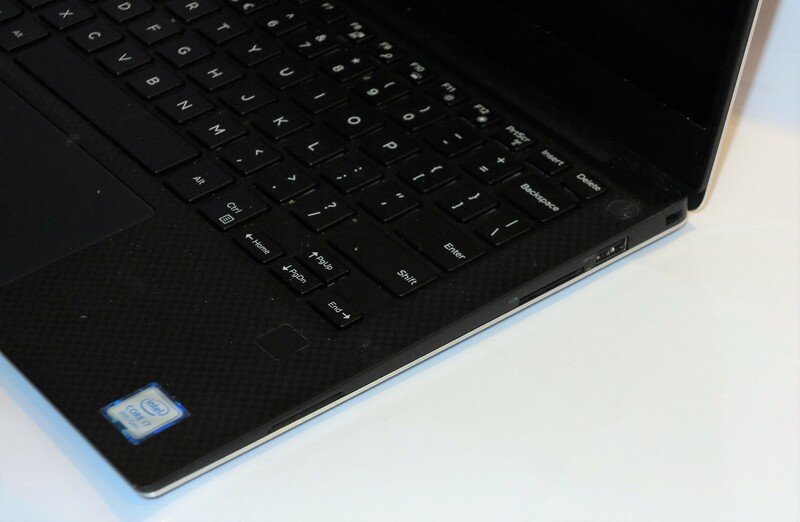 Like with the prior generation of the Dell Inspiron 13 7000, the cooling vent is located near the hinges yet there is a bit more heat build-up that can occur with basic gaming. It doesn’t exhibit this kind of heat buildup during basic computing tasks. This is even though I am dealing with the newer Intel Core i7 silicon which is known to be more powerful than prior versions. 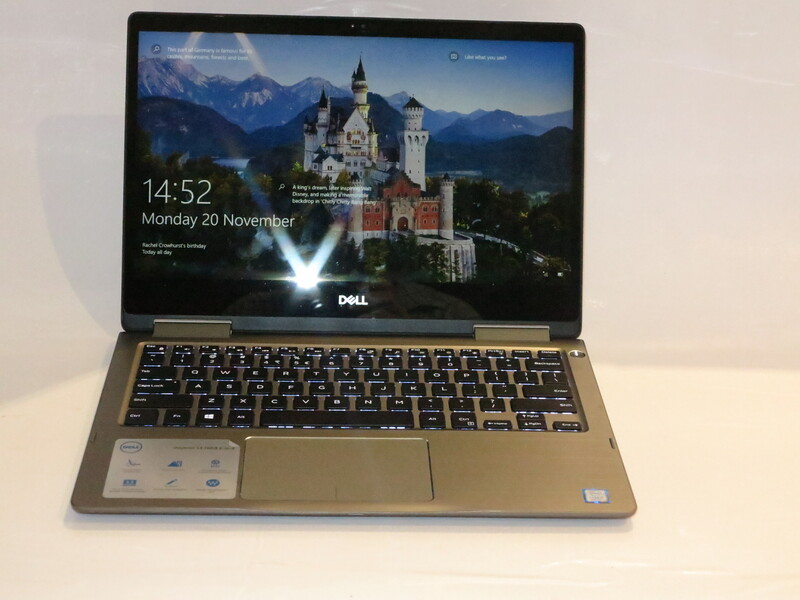 The Dell Inspiron 13 7000 uses an illuminated keyboard that lights up as needed. But it is wide enough to type with accurately and has a shallow key throw but that is enough for proper tactile feedback. Like with most laptops, the function keys default to the volume, multimedia and display controls. But with this one, press the Fn key and ESC key to toggle on the normal function-key behaviour. The trackpad and touchscreen work properly and effectively. In the case of the trackpad, I have not noticed any situation where the pointer moved around while I was typing, thus being less of a distraction. The Waves MaxxAudio sound-tuning software does improve the sound but the internal speakers have that tinny sound common with laptops. 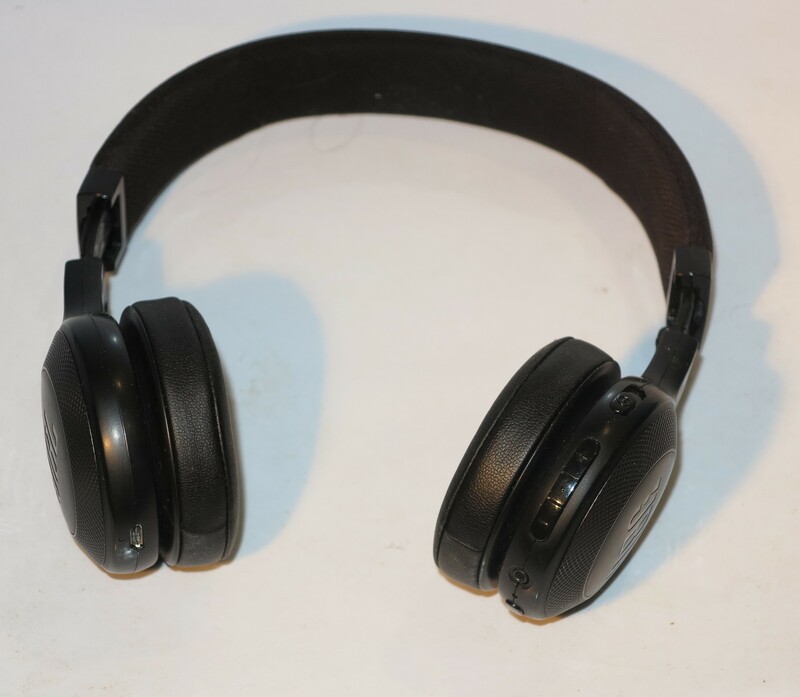 But I would find best results when you use the Dell Inspiron 13 7000 with with headphones, external speakers or sound system. Most likely, you will end up needing to use headphones to avoid distracting others when you use this computer in a public place for multimedia, videocall, gaming or similar activities. The Intel UHD 620 integrated graphics provides the kind of performance you would expect for most computing tasks including the occasional gaming and similar tasks that most of us would do. Here, you would see smooth video playhack for most of these tasks. 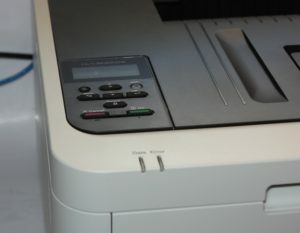 Like with all consumer-grade computers, there is still the glossy display which can become dirty very quickly and show reflections easily. Like with the prior iterations of the Dell Inspiron 13 7000 2-in-1, the connectivity options are essentially the same with the 2 USB 3.0 ports and the 1 USB Type-C port as well as the HDMI video port. Personally I would like to see Dell implement the Thunderbolt 3 port in the Inspiron 13 7000 Series computers but this will have to wait for a full model-level revision rather than a silicon-level refresh. The whole of the Inspiron 13 7000 range offers the kind of capacity on the solid-state drives that would be expected for most people to benefit from with these drives living up to the promise of quick access. This also includes the fact that even the haseline variants have that healthy 256Gb capacity that would suit most users even as a main or sole computer. The use of Intel 8th Generation silicon for the CPU and graphics hasn’t made a difference to the Dell Inspiron 13 7000’s battery life although you are really allowing the computer to perform better using the newer technology. 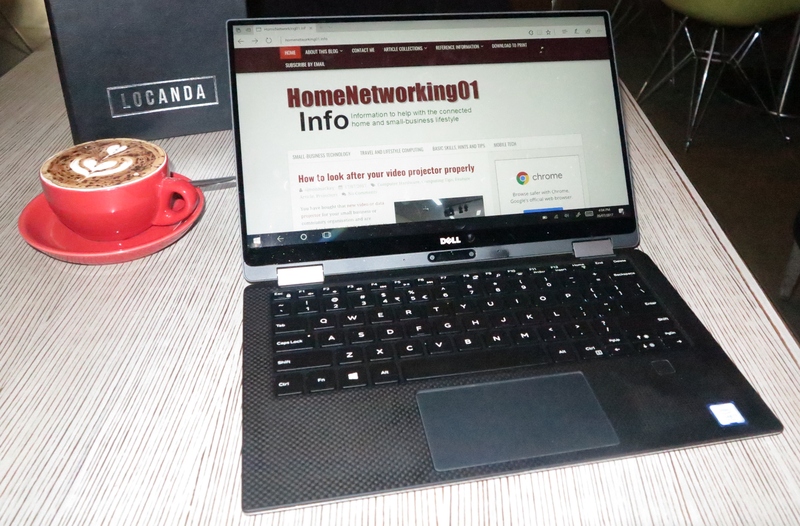 One of the men who run the Melbourne Men’s Shed was impressed with the Dell Inspiron 13 7000’s specifications even though the review sample is the top-shelf model. He was also impressed by the convertible design that this unit has. Similarly some hotel staff wore impressed by the convertible design and described it as looking similar to a recent iPad when they saw it at first glance. Dell could “carve out” the Inspiron 13 2-in-1 product range for those of us who aren’t necessary after a very light ultraportable 2-in-1 but want something that is portable enough for most applications. Here, they could implement the 8th-generation Intel Core processors across the range as well as providing some of the premium models in the lineup with Thunderbolt 3 connectivity. This is more so for those of us who want to run them with external graphics modules. Similarly, Dell could offer one or two configurations with Intel Iris higher-performance integrated graphics as a product differentiator. This would appeal to those of us who want that bit more out of the graphics abilities. 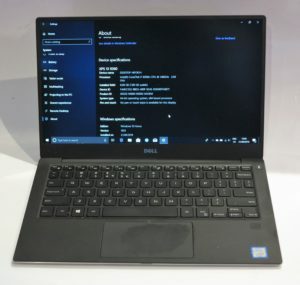 As for enablement of options like PowerShare “sleep and charge” or anything that is only available in the computer’s BIOS, Dell could provide an app that allows some of these options to be manipulated from the Windows interface rather than having to reboot your computer to achieve that goal. I would recommend this variant of the Dell Inspiron 13 7000 Series 2-in-1 comvertible computer for those of us who want value for money and want something that is powerful for most computing tasks. Even the improvement that Dell offers by implementing the Intel Kaby Lake R silicon still underscores the value for money that they are known for with the products. 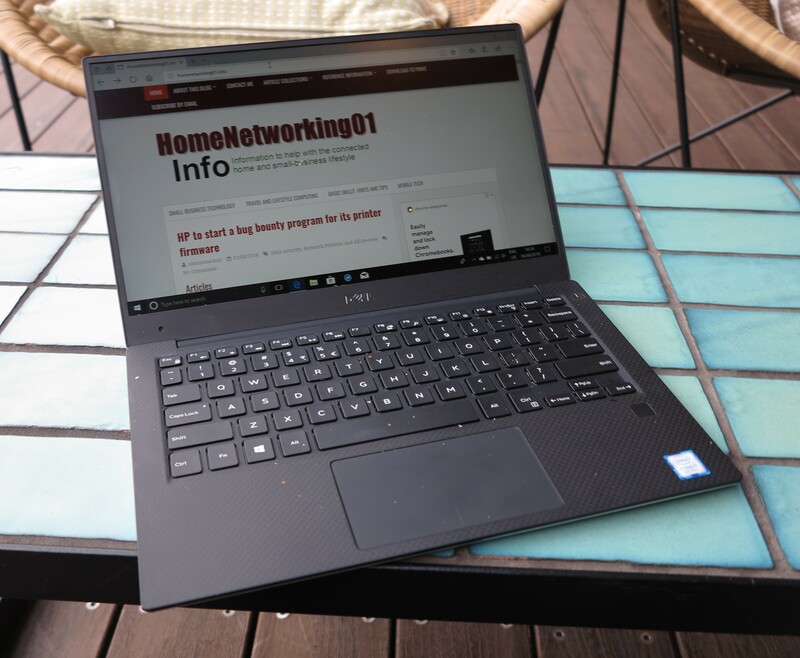 Dell has established the XPS 13 as a value-priced Ultrabook that ticks the boxes when it comes to the kind of functionality that it offers for its product class. There was some doubt that they would offer a “2-in-1” ultraportable computer under this banner alongside the traditional “clamshell” model, due to there not being an essential need for that class of computer. 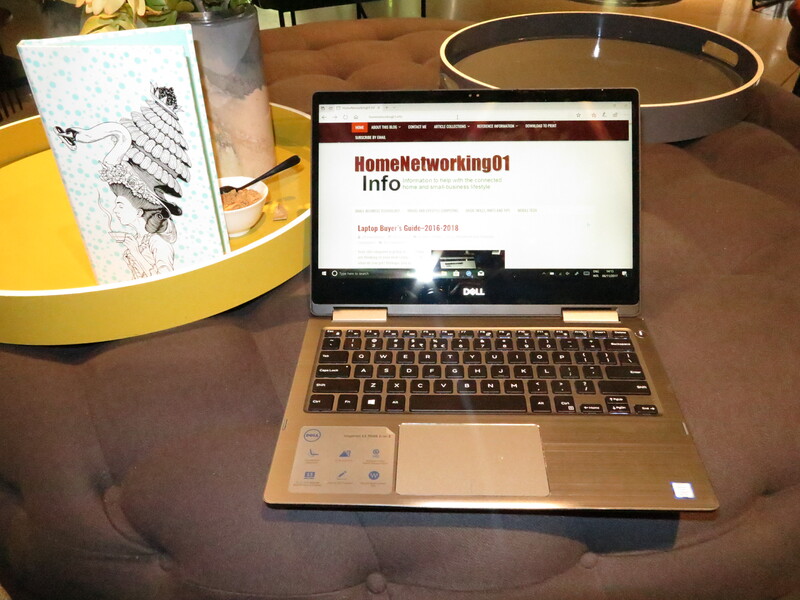 Now they have offered a 2-in-1 convertible variant of the XPS 13 and it is what I am reviewing. There are two different configurations being offered for this model, one with the Intel Core i5 CPU, 8Gb RAM and 256Gb solid-state storage alongside the premium variant which comes with an Intel Core i7 CPU, 16Gb RAM and 512Gb solid-state storage. The Dell XPS 13 2-in-1 had the same build quality as the XPS 13 clamshell where it came across as being very durable. The outside is finished in aluminium while the keyboard surround maintains that rubberised finish that provides that tactile non-slippery feel. The only disadvantage I see with this is a combination of oily hands and fine dusty materials may have it look dirty. This convertible smoothly swivels all the way from closed to a tablet position and even closes up neatly and tightly. This again makes for something that has the smooth feel to it. I paid attention to how this computer kept its cool, with respect to system performance, battery runtime and user comfort. Here, I haven’t noticed any overheating going on even after I viewed video content on this system. This is thanks to the metal housing and the way the system is architected to work in the context of an ultra-thin design. The illuminated keyboard has that distinct feedback that allows for accurate typing especially if you are a touch-typist. It lights up in an “on-demand” manner that avoids excessive battery drain but can be turned off. The way I have seen the keyboard light up means that the keys are more discoverable especially for those of us who are one-finger or two-finger typists. The multi-touch trackpad works as expected and doesn’t act in a hair-trigger manner, so you don’t have to worry about disabling it if you are working on your lap. The touchscreen works as expected for a tablet screen but at times can be a bit unresponsive especially if you have your hands on the edge. The Dell XPS 13 2-in-1 comes with a one-touch smartphone-style fingerprint reader just under the keyboard where you just put your finger in the one place for it to be recognised. This works in conjunction with the Windows 10 Hello functionality that allows for fingerprint recognition and Dell also supplied the Keeper password vault for those of us who want to keep our online service passwords on a secure digital keychain. Here, it is the second consumer-focused computer that I have come across for review to be equipped with such a device, something typically associated with business-grade computers. What I had found from my experience was that it was reliable to scan even if you had something like the oil from deep-fried food on your fingers. But you have to scan your finger lengthways as well as pointing vertically during the Windows Hello setup procedure so it works when you are using the XPS 13 2-in-1 Ultrabook as a tablet. The Dell XPS 13 2-in-1 implements the MaxxAudio sound-tuning but I have tried it with playing music using the Spotify online music service. 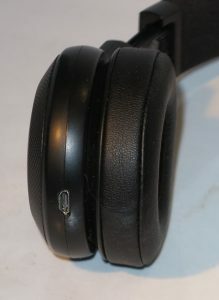 Here, the sound from the internal speakers is very typical of what is offered for laptops, especially the “thin-and-light” units thanks to the small chassis. 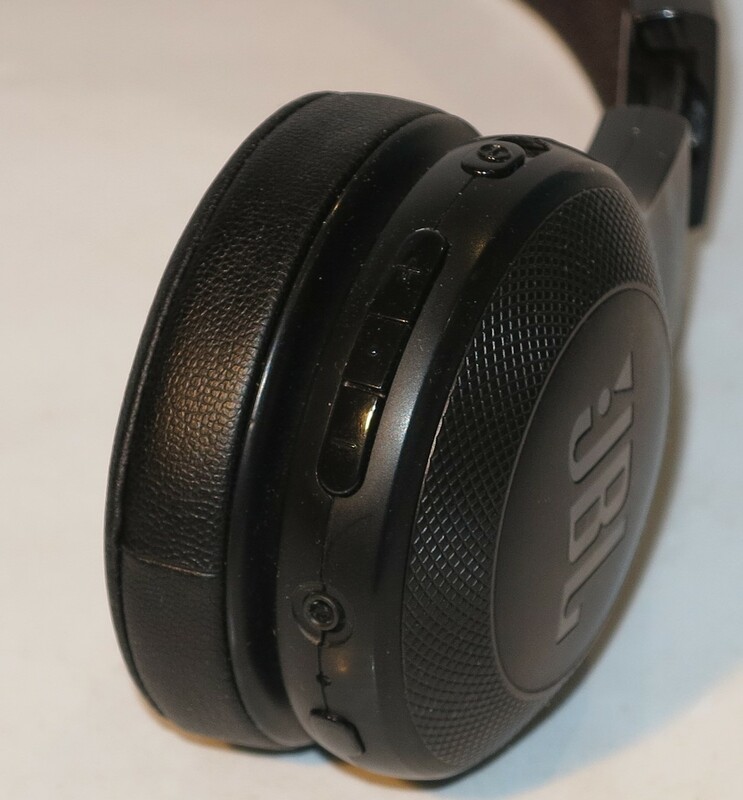 This means that you don’t get the full sound reproduction when you use these speakers and it may be good enough for notification sounds or dialogue, but I would recommend using external speakers, headphones or a sound system if you want to enjoy playing music through this laptop. The video playback behaviour for this computer has come through very smoothly especially with on-demand content and can show that you could use it for any class of video content. It would also work well for gaming environments that aren’t too demanding. 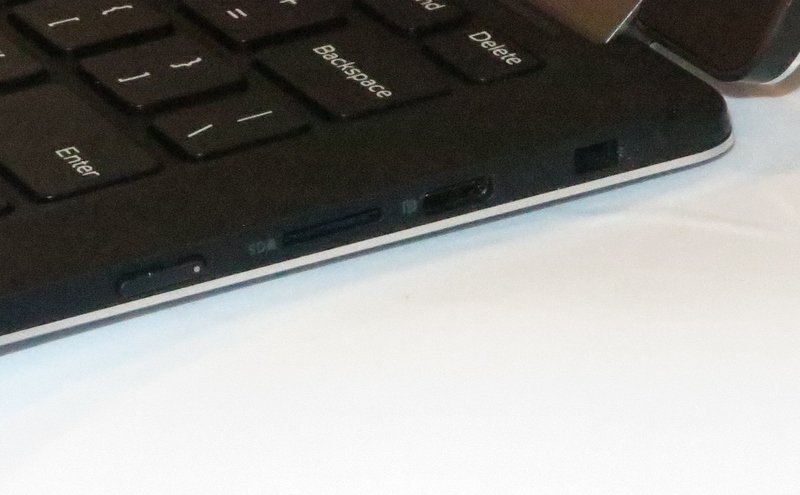 The peripheral-connectivity options for the Dell XPS 13 2-in-1 are a pair of USB-C connectors. One of these is a Thunderbolt 3 connector that comes in handy with equipment like external graphics modules while the other is equipped with DisplayPort alt connectivity for use when you want to connect an external screen as long as you use the appropriate adaptor or expansion module dock. Both of these ports implement the USB Power Delivery specification and also implement the PowerShare “sleep and charge” option, only enabled through the BIOS user interface rather than a Windows program. 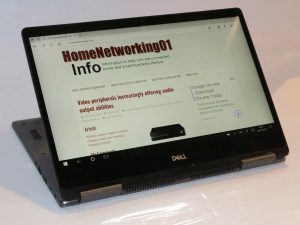 The Dell XPS 13 2-in-1 has become the first computer model that I have had access to for review which implements the USB-C connections exclusively as a peripheral connection and power-input connection. 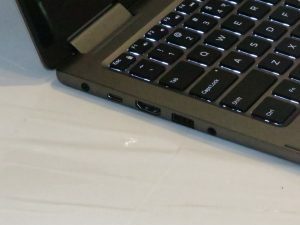 It is a sign of things to come with laptops that are designed to be thin and light where this kind of connection will be the only peripheral connection type. But I am pleased that there are the two connections compared to just one of them, thus still allowing you to connect more devices at once. There is also an audio jack as the other device connectivity option, compared to the XPS 13 which implements standard USB connections for other peripherals. Let’s not forget that the XPS 13 2-in-1 comes with a short adaptor cable that allows you to connect devices with the traditional USB Type-A connector to one of the USB-C sockets. If you are wanting more connectivity, I would consider using the Dell DA200 USB-C connector module if it is just external displays, USB peripherals and an Ethernet networks segment you want to connect or the Minix Neo C USB Multiport Adaptor if it’s your digital camera’s SD card you want to download while being able to connect external displays, Ethernet networks and other peripherals. The secondary storage options available are adequate for most portable-computing needs. This is through the entry-level variant coming with a 256Gb SSD and the premium variant coming with the 512Gb SSD. Personally, I would like to see Dell offer a step-up variant or mid-tier option with the 512 Gb SSD as the only incremental feature over the entry-level model to court those of us who aren’t chasing the performance expectations but want something that can make it appeal as a sole-use computer. 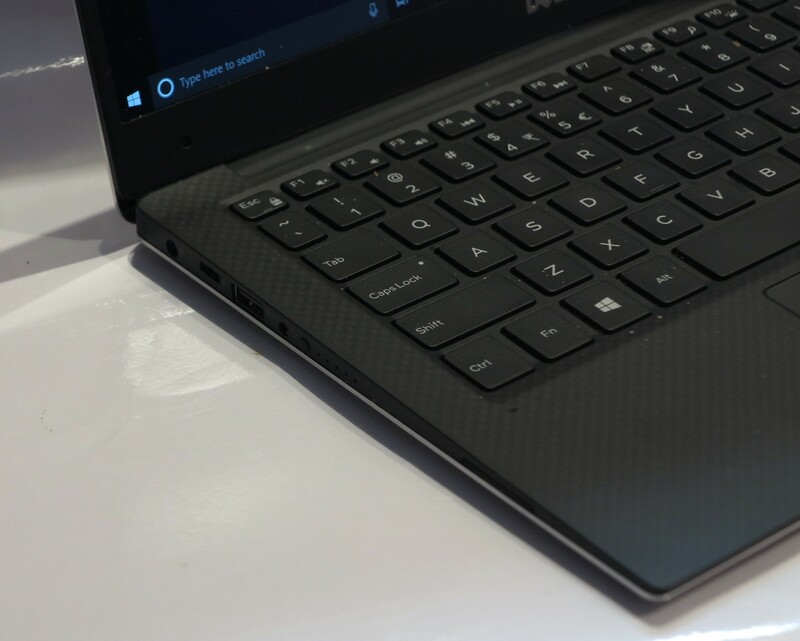 Thanks to the slimline design goal, the Dell XPS 13 2-in-1 convertible laptop has a microSD card slot as its integrated removable-media option. This will be a limitation for those of us who use digital cameras or camcorders and want to download images to the computer by removing the SD-card “film” from the camera and inserting it in the computer. 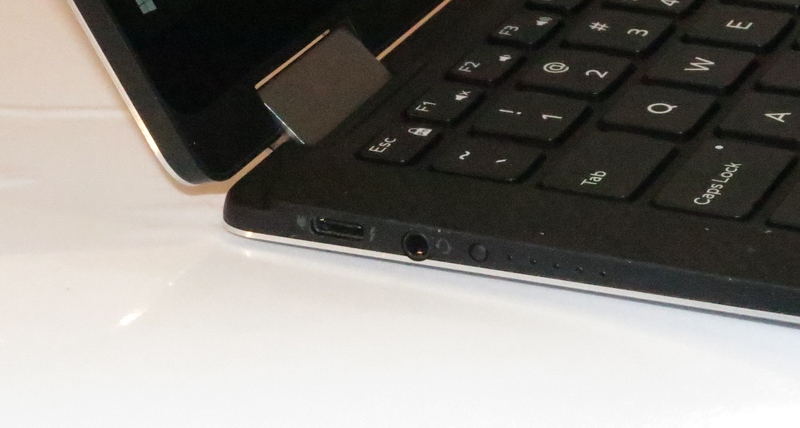 In this case, you would have to use an SD card reader that plugs in to the computer’s USB-C port with or without an adaptor. The Wi-Fi network adaptor still works effectively even if it is on the fringe of a Wi-Fi network segment and still provides the necessary throughput. The non-removable battery in the Dell XPS 13 2-in-1 convertible Ultrabook is able to satisfy general-purpose computing tasks for a day without the need for you to carry the charger with you. I even ran a TV show from SBS On Demand for an hour and found that the battery had 68% capacity left in it after that. 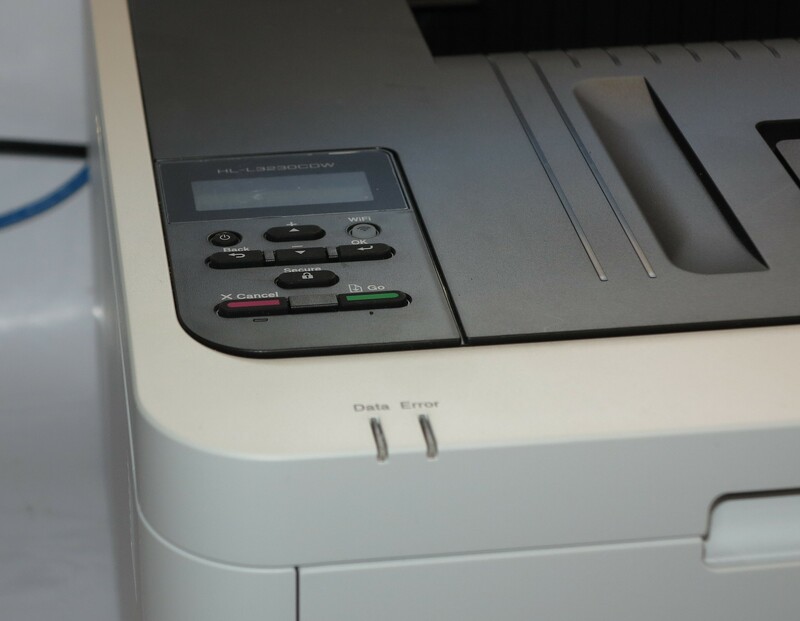 These results may be typical for a relatively-new machine and the battery may not last as long for a unit that has been in service for many years. The people in the different communities that I associate with whom I have shown this computer to are impressed with the fact that this computer answers the thin-and-light market call while also being an elegant 2-in-1 convertible. At the moment the only thing that will put them off the computer would be the price. As far as the USB-C connections go, an improvement I would like to see would be to provide the same advanced connection types i.e. Thunderbolt 3 and DisplayPort alt on both ports. This may involve having the computer effectively have two Thunderbolt 3 host interfaces and two DisplayPort connections off its Intel HD integrated graphics circuitry, but could allow for simplified error-proof connectivity of display devices and Thunderbolt 3 peripherals. 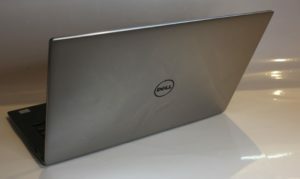 In relation to the Thunderbolt 3 connection, the Dell XPS 13 2-in-1 could implement a high-power performance-focused stance while it is connected to an external graphics module that supplies the right amount of power. This would then make it able to handle advanced graphics tasks like gaming at home, but this may be limited by issues regarding heat management for a thin-and-light chassis. A feature that would improve the Dell XPS 13 2-in-1’s useability would be to have dedicated volume buttons on the edge of the screen or as touch buttons on the bottom of the screen to allow the user to instantly regulate sound volume when playing multimedia. This would be more of importance when the computer is operating in a tablet, presentation viewer or tent mode. I would see the Dell XPS 13 2-in-1 Ultrabook as a viable option for someone who is after a “Yoga-style” convertible notebook but want something that conveys a thin, light and elegant image. The configurations that are available at least put its RAM and storage capacities above average for its peers offered by its competitors and definitely underscore value for money for its product class.